This is the most ornate finishing (?) press I’ve ever seen, as well as being one of the earliest dated ones. 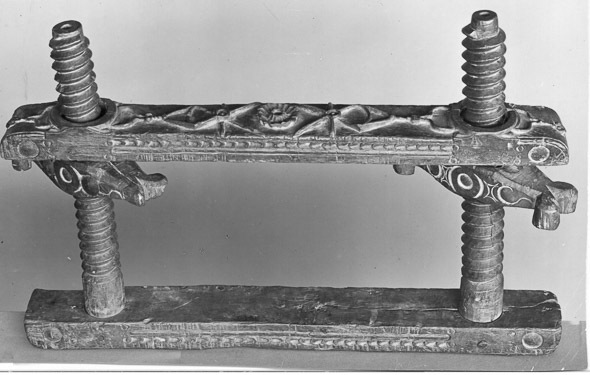 It is inaccurately described by the V&A as a book stretcher in the catalog, because in the early images (above and below) the tightening nuts were on the wrong side of the cheek. Usually tightening nuts like these are found on German or Netherlandish presses. It would be nice to have a book stretcher on occasion, though. Need to turn an octavo into a quarto? No problem! But was this really a book press, or a press intended for some other purpose? The 29 inch long cheeks are very, very thin in profile, and I imagine would deflect quite a bit even with just hand tightening. 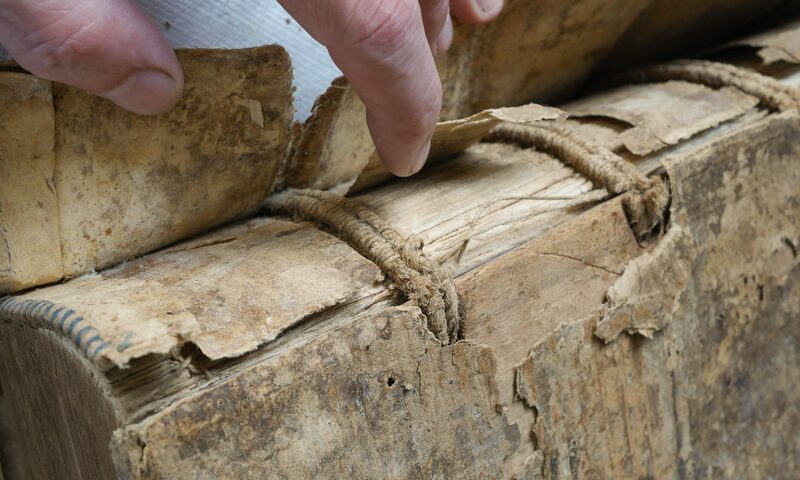 A later image shows the press assembled correctly, but it is still described as a book stretcher. 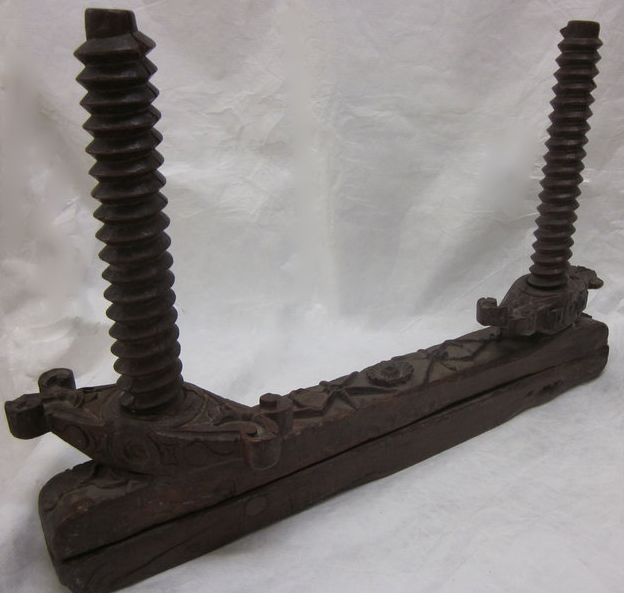 Almost every non-functional inch of this remarkable press is covered with relief carvings. The tightening nuts are especially elegant. It is made from walnut, a wood traditionally used for press boards in 18th century France. Many 17th century and earlier European woodworking tools, like planes, are encrusted with carving. Hand tools have became minimally decorated since the 20th century, all form deriving from efficient manufacture and use. The decorative deep carving must have taken a lot of extra time. Did the maker or consumer provide the agency? Was this a presentation piece, not intended to be used? It seems to show very little wear, atypical of most presses. Or did the maker just want to make a beautiful tool? Do beautiful tools inspire binders to make beautiful books? 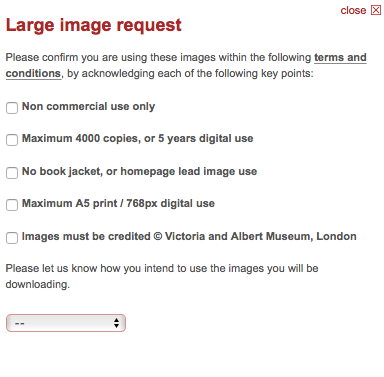 Hats off to the V&A has a very progressive large image use policy. You can download them instantly, share them widely, and even use them for publication. 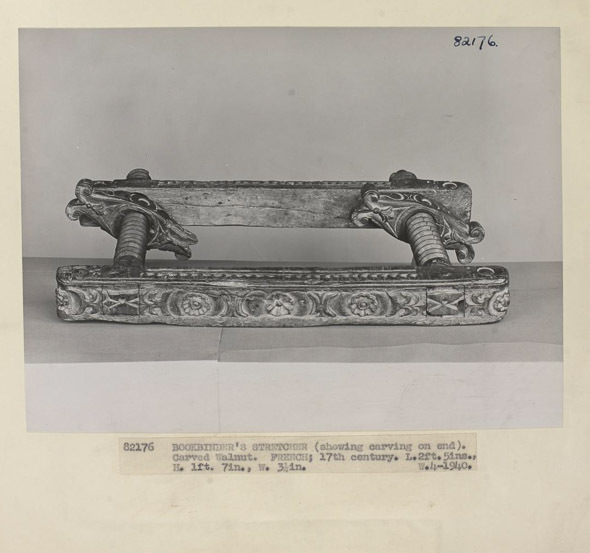 There are almost 750,000 searchable images on the V&A site. Let’s hope all institutions free their images.